With the help of our free online parts requester, you can find those hard to get chevy s10 pickup parts you need. 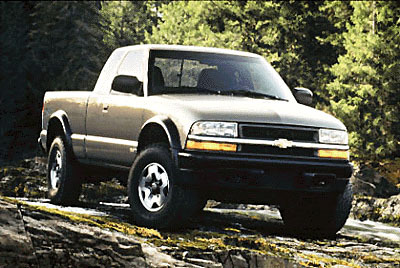 We can locate all types of chevrolet s10 pickup parts, even chevy s10 pickup engine. All types of s10 pickup parts and s10 pickup truck parts can be found through the UNAP service. This free online part requester can locate chevy s10 pickup parts and chevy s10 pickup engines. Hard to find s10 pickup parts are easy to locate when you visit UNeedAPart.com, we locate all type of chevy s10 pickup parts from s10 pickup engines and transmissions to chevy s10 pickup bumpers and doors. To find the s10 pickup parts you are looking for please select your year and make on the form above and click next step.